After you have read this short article, you will be able to easily backup your WhatsApp conversations on Google Drive, saving precious space on your Android phone. You probably know that all WhatsApp messages are stored on the memory of our phone and take up a great deal of space, especially the videos, pictures and voice messages that we share with our friends every day. Fortunately, WhatsApp developers have recently rolled out a new update of the Android app – version 2.12.228 – that gives us the chance to backup chats on Google Drive. Besides, with the new update two new themes have been made available to Android users, Material Light and Material Dark. The first one is an improved version of the current theme, whereas the second is a variant characterized by white text on a dark background. Google Drive is a cloud storage service provided by Google. In other words, it’s a virtual memory that saves your files directly on the Internet. You can save multiple file formats, including photos, videos and articles, and now also your WhatsApp conversations. Google Drive offers users 15 gigabytes of free space. First of all, you have to download the latest version of the app for Android. 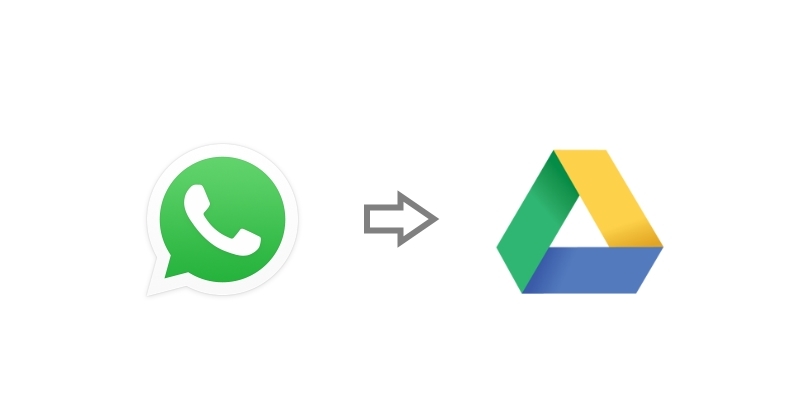 Once you’ve updated it, open WhatsApp and go to Settings > Chats and calls > Chat backup and click on Backup to Google Drive. Why Bother Backing Up WhatsApp Chats on Google Drive? The first reason to use the new integrated service WhatsApp-Drive is the ability to decrease the amount of memory used on the phone. As the months pass, WhatsApp accumulates data on your phone and the memory is not unlimited. Besides, saving WhatsApp conversations on Google Drive will ensure you don’t lose data even if your phone gets lost or damaged. In these unlucky cases, you will easily transfer all your conversations to a new phone. Finally, if you accidentally delete the WhatsApp app from your Android phone all your conversations will go with it. However, if you activate Google Drive backup you will never run the risk of losing your chats. What if I don’t want to backup conversations? Well, there is an alternative: send chats via email. To do so, open WhatsApp, pick the chat you want to export via email, and select “Send by email” at the bottom. In a few seconds you will receive the conversation to your mailbox. The new dark theme introduced with the new update may attract many users, but unfortunately not everyone with an Android phone can have the new themes. This was announced by the WhatsApp itself, as in the official changelog they wrote “not for all users”. Too bad, but no worries! Usually it is only a matter of waiting for some time. On iPhones it is not possible to save chats on Google Drive, but you can still backup all of your conversations on iCloud. To do so, open WhatsApp and go to Settings > Chats and calls > Chat backup and click on Backup to iCloud.